cdcindonesia.com - The morning enthusiasm of all friends, the following is information about job vacancies coming from one of the companies that are state-owned subsidiaries in the field of port, namely:PT Pelindo Daya Sejahtera - PT PDS is a rapid growing manpower outsourcing services company in Indonesia. PT Pelindo Daya Sejahtera is a directly-owned subsidiary company of state-owned port operator PT Pelabuhan Indonesia III (Persero) or Pelindo 3 Group. 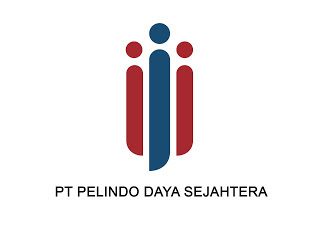 PT Pelindo Daya Sejahtera was formed on 19 March 2014 to manages the outsourcing labors in PT Pelabuhan Indonesia III (Persero). Previously, outsourcing labors at PT Pelabuhan Indonesia III (Persero) managed by Koperasi Pegawai Pelindo III. PT Pelindo Daya Sejahtera now has 1 subsidiary: PT Tanjung Emas Daya Solusi which engaged in tally services. Latest date 10 February 2019. All applications are appreciated and will be treated confidentially. Only qualified, short-listed applicants will be invited for furthers process.